Wow! Any idea how old it was? The city arborist estimated 300+ years. She was a beauty. We’ve been through that at our home a couple of times. It is so scary. I’m glad everyone in your family is okay. 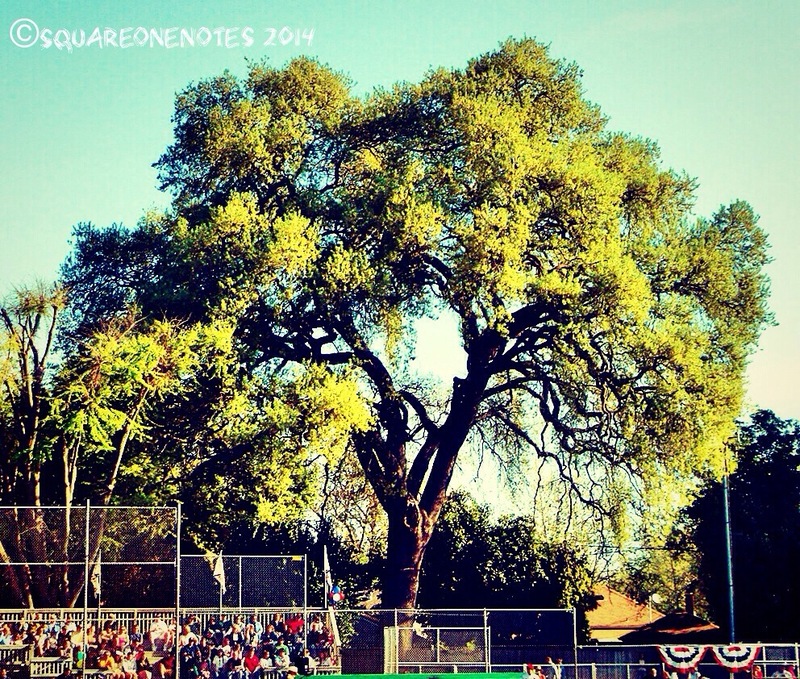 Sacramento is referred to as the city of trees. I love living under a canopy of different varieties, makes me feel like a woodland creature. But for every pro there’s a con, right? Sorry you’ve experienced this too! I hope nobody was hurt on your end as well. It happened twice and neither time was anyone hurt. 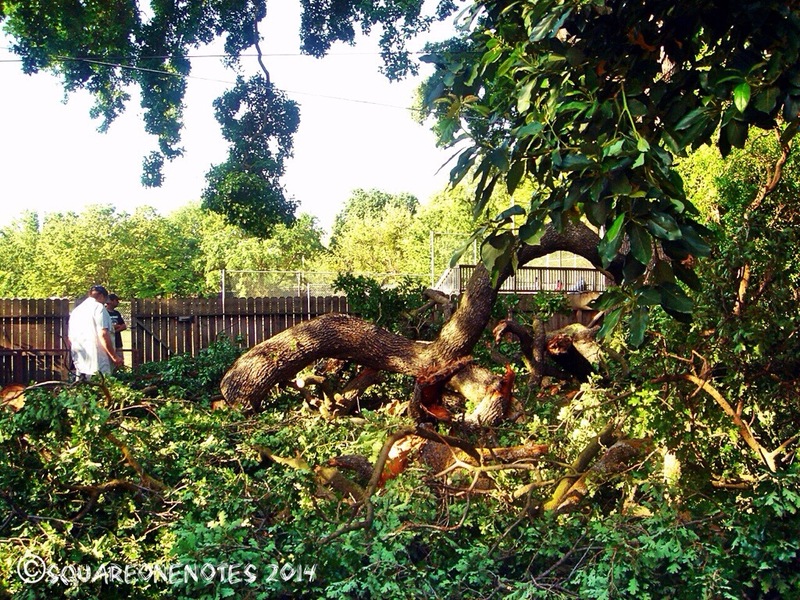 The second time, it would have struch our home, but another tree deflected it…..phew. I feel a little ‘strange’ (maybe because I AM a little strange), hitting the ‘like’ button on this post, because it is most definitely not an occurrence to ‘like’ have happen to anyone. OK, belay that. I can think of at least one person right now who (in my mind) deserves a tree or three falling on his house, certainly not you though my Friend. But I do like that you shared it. Hope the cleanup goes safely and well and without further incident. Dear Lance, this makes perfect sense. I followed your train of thought without a pblm. I am not put off by your ‘like.’ I do that too, 2nd guessing if it’s appropriate sometimes. The way I see it, the like button can be a hi-five as in rock on! Or it can be a hug or an encouraging smile. Don’t worry. You’ll never hear me complain about receiving ‘likes.’ I am always encouraged by feedback! Thanks! I am nothing if not sincere. I do appreciate that, friend! How often did we talk about this, Sandra? I am so sorry it happened. So very sorry it happened in your beautiful yard, my friend. I am glad it was only a close call. Wow, three hundred years is a darn good lifespan! Sad to lose the tree though. Right John! She had a hell of a run. Sad she came down on our watch. “And you won’t read that book again because the end is just too hard to take.” Beautiful song. You’re right, it is fitting. I guess my head works that way too! Wow. I never see trees that big! Yikes. And now I have Gordon Lightfoot in my head. I’m singing it too Kerbey. Not so bad though, it is a great song. I love that I can count on you to laugh with me! I’m glad you made yourself some coffee pal. Why mess with a good thing? Yowza! 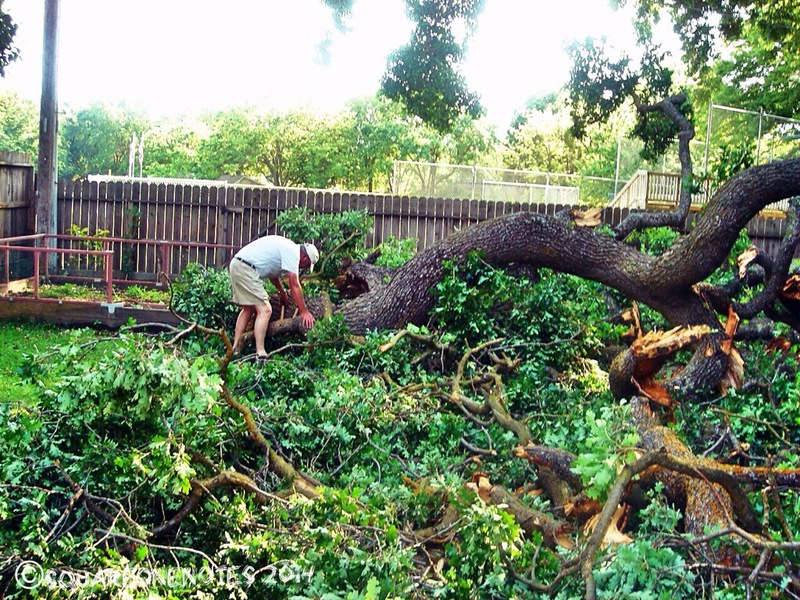 That was one heck of a tree.